U.S. immigration laws are highly complex. As such, there are often a variety of factors that need to be considered before presenting your case to the authorities. Socorro Law, P.A. ensures to keep up-to-date in immigration regulations and laws to serve you in a professional and effective manner. 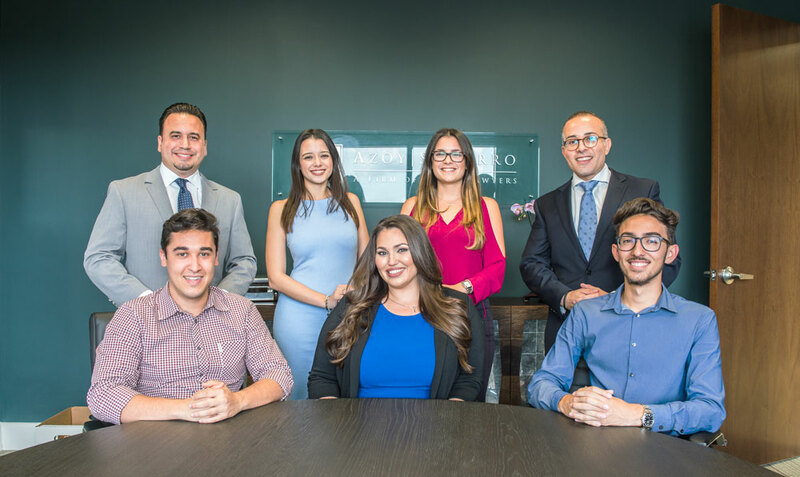 With more than 10 years of experience, Azoy Socorro Law, LLP has the capability throughout Florida, New York, the District of Columbia and nationwide in assisting with all aspects of corporate U.S. expansion strategy. Our experience includes representation of individuals in matters before: immigration hearings, the Board of Immigrations Appeals, the Administrative Appeals Unit of the U.S. Citizenship and Immigration Services, and the Board of Alien Labor Certification Appeals. Azoy Socorro Law, LLP has also developed a multi-practice unit that deals with the specialized needs of high net worth foreign national entrepreneurs and investors. As such we plan, manage and file specialized petitions in the EB-5 immigrant investor category. The EB-5 program allows a person, and his or her family members, to obtain eventual permanent resident status by investing a certain amount of money in U.S. commercial enterprises, and creating or saving 10 U.S. jobs. To encourage immigration through the EB-5 category, Congress created a program that sets aside 3,000 green cards each year for foreign investors who invest in “designated regional centers.” This program permits private and governmental agencies to be certified as regional centers if they meet certain criteria. Contact Azoy Socorro Law, LLP today, for a complete evaluation of your Immigration issues.